RDJ Managing Partner Richard Martin and CIO Connie Wiseman, along with former All Blacks and Munster Rugby Player, Doug Howlett; The Lord Mayor of Cork, Councillor Mick Finn; and Paul Walsh, McAfee Ireland all did their part “for the kids like” in the recent filming of Old Offenders III. The sketch, produced by Young Offenders Directors, Peter and Mike Foott, marks the official launch of the 2018 Cork Santa Cycle. The cycle, now in its third year, raises funds for Straight Ahead, a charity that provides support to children on waiting lists for life changing orthopaedic procedures, including surgery, support and medical equipment. RDJ is a proud sponsor of the annual Cork Santa Cycle. See pictures from the 2018 event here. 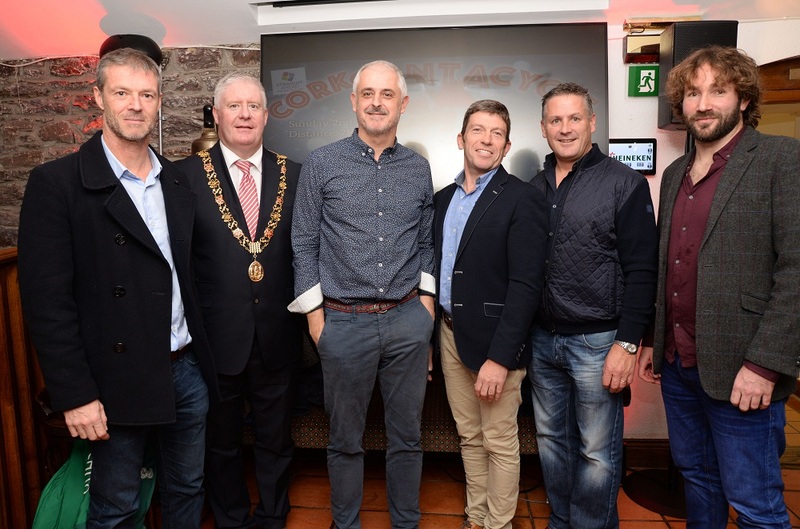 Pictured above at the launch are (L-R): Paul Walsh, McAfee; Lord Mayor of Cork, Councillor Mick Finn; Richard Martin, Managing Partner, RDJ; Connie Wiseman, Chief Information Office, RDJ; David Murray, Elective Healthcare; and Mike Foott, Producer of "The Old Offenders" .